“Frame of Mind,” a video exhibition featuring stylish and successful women over 60, opened Thursday night at Copley Place. Subjects include the Partnership’s Carol Fulp, MassArt professor Dyan McClimon-Miller, designer Carolina Tress-Balsbaugh, designer and Glamour’s first black cover model, Katiti Kironde, and Mary Kakas, who serves on the board of Rogerson Communities, which provides housing for the elderly and low-income individuals. Rogerson is presenting the “Frame of Mind” show, which is up through Nov. 20. 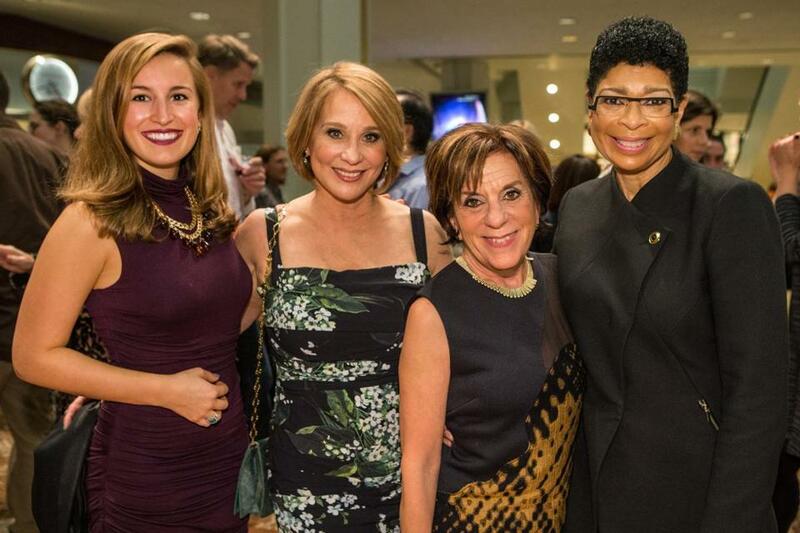 Pictured at the opening are (from left): Olivia Ives-Flores, Tress-Balsbaugh, Barbara Quiroga, and Fulp.